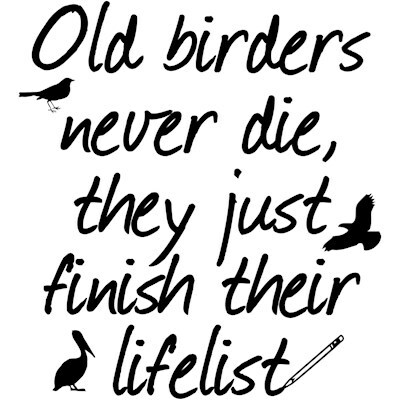 This funny birdwatching-themed design reads Old birders never die they just finish their lifelist. Some birdwatchers like to keep a life list of all of the birds they have seen in their lifetime. And when that time is up, the lifelist is completed! 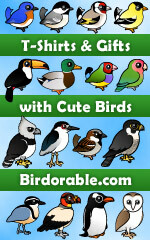 A funny birding gift idea for birdwatchers of all ages! To order by phone, call toll-free at 1-877-809-1659 from Monday - Saturday 9:00am - 9:00pm EST. You'll need to note the Product Number 030-1227905354 to make your order.